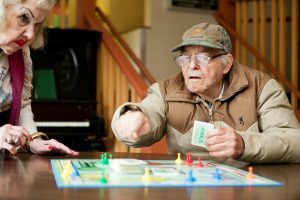 Primary Care Provider JC Provost, DNP, believes that Housecall Providers’ mission is at work every time he treats one of his patients at The Taft Home (The Taft). 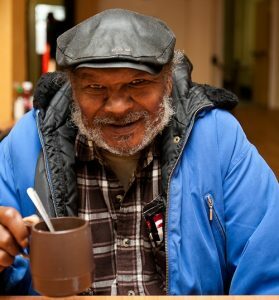 The residential care community, located in SW Portland, has been offering a family-style living environment to some of Portland’s most vulnerable community members since the late ’70s. “The Taft is one of the few places I look forward to visiting twice a month. While I enjoy my other Westside patients, the residents there often represent the most medically complex cases and challenge me in my approach to care,” Provost said. For the last 11 years, Provost has been visiting The Taft and currently treats nearly 40% of its 63 residents. The main criteria for living in The Taft, set forth by Multnomah County Aging and Disability Services, is that residents must have at last least one major medical health problem and be seen by a primary care provider. “We have a lot of residents who won’t leave our building, so how would they receive medical care or mental health services?” Director of The Taft Karen Shenefelt, LCSW asked. Without the option of receiving in-home medical care, those residents would eventually need to access emergency services, which are costly to the system and devastating to the psyche of someone struggling with severe mental illness. Shenefelt, who worked at Mental Health Services West before becoming The Taft’s director in 1998, appreciates the longstanding relationship Housecall Providers has had with her facility. “We have had a Housecall Providers PCP here since 2003,” she remembers. “Throughout that time, we have found the staff easy to work with and the communication to be very good. We can call Alicia [Provost’s care coordinator] at the office when we need something and she also lets us know in a timely manner when JC has referred a resident to a specialist or another community resource,” Shenefelt continued. There was a time in 2003 when it looked like The Taft would have to close its doors until local aging services groups, including NW Pilot Project and the VA, came together to advocate for the residents. “Many of the nonprofits that worked with this population joined forces and said that we don’t want to close The Taft because there was nowhere for these people to go. They approached Concepts in Community Living because they knew that they liked working with special populations and they ended up taking it over that same year,” Shenefelt said. Residents, who are primarily on Medicaid, are referred to The Taft by local hospitals, Aging and Disability Services case managers and mental health workers. 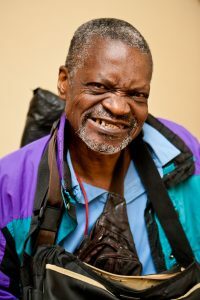 Other nonprofits like Central City Concern also support the residents with monthly visits from a psychiatric nurse practitioner and more frequently, mental health case managers. Provost emphasizes that with the residents he must be sharp, present and compassionate to navigate the challenges that mental illness and sometimes addiction present to him as a primary care provider. Still, when Provost thinks of The Taft, it’s not what he is offering to the residents but what he is getting out of the exchange that resonates most. “The residents there fill my soul,” he said.